Every year, more and more people discover traveling to The Netherlands. Not only Amsterdam, but also our home. It’s popular because of its beaches and the tulip season. 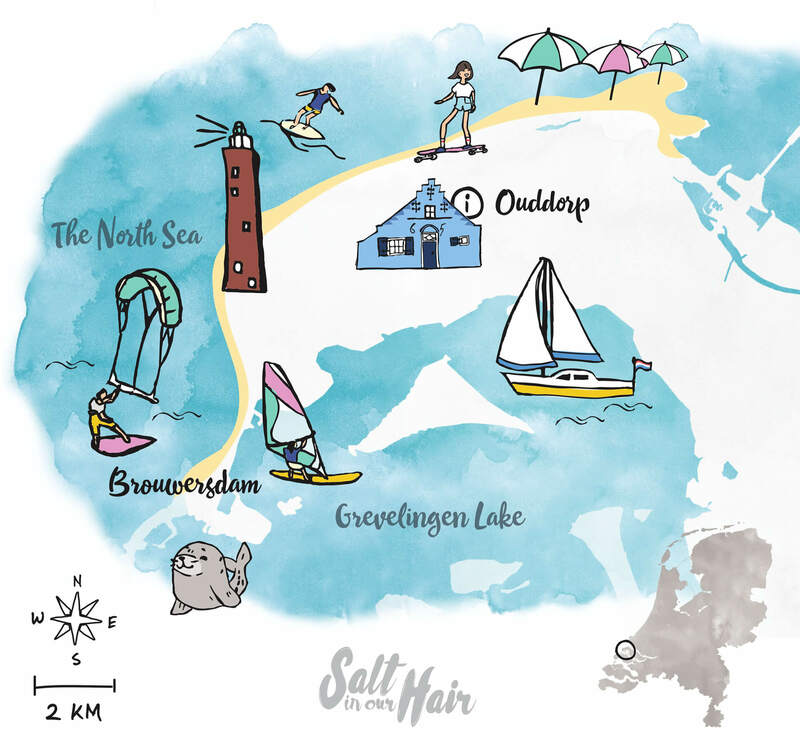 Only the south-western islands of The Netherlands already has 650 kilometers of coastline. 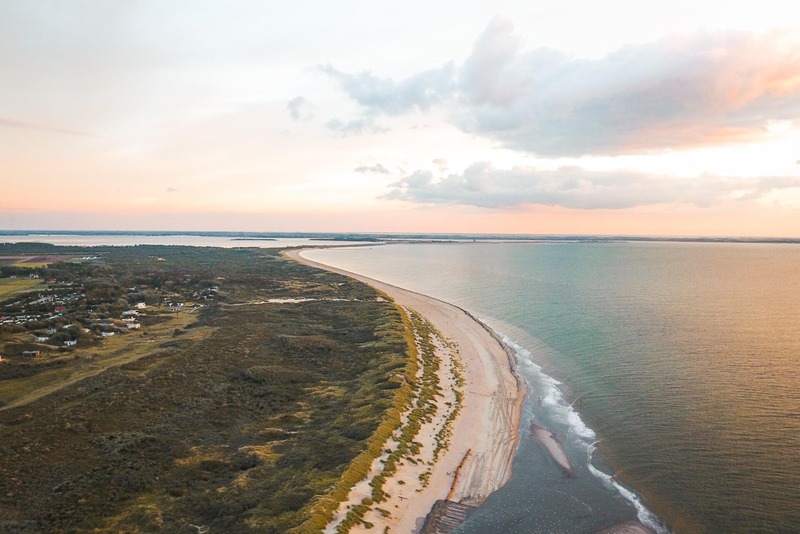 One of those islands, called Goeree-Overflakkee, is a true hidden little gem. Even for the Dutch people! Those wide stretches of beach are filled with very laid-back beach clubs, kitesurfers/windsurfers/surfers, and longboard or bike tracks. It’s just a 40-minute drive from Rotterdam. In the weekends, people often go to these beaches to escape the city life. Don’t worry, the beaches aren’t crowded at all! Sunbathing is one thing to do here but there is so much more! 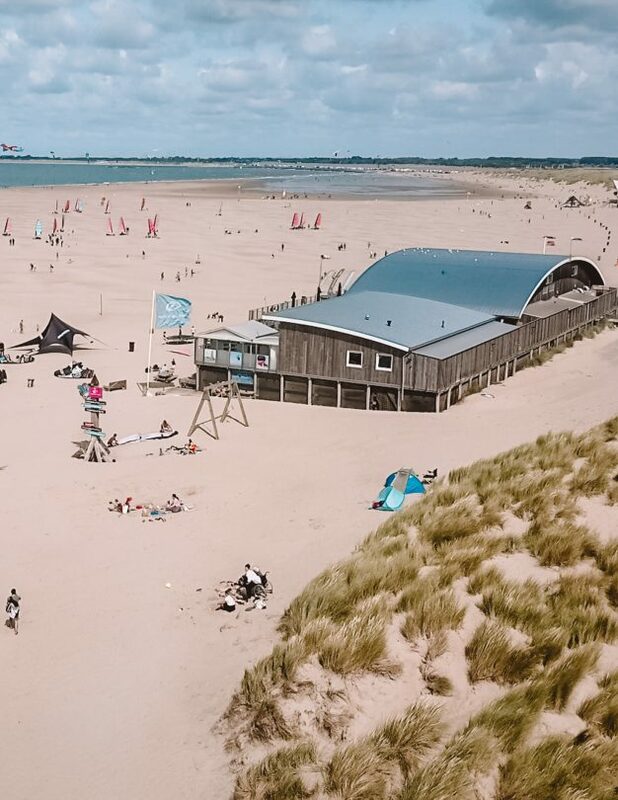 Surfing is BIG in this area of The Netherlands. The beach on Goeree-Overflakkee stretches along 25 kilometers of coastline. 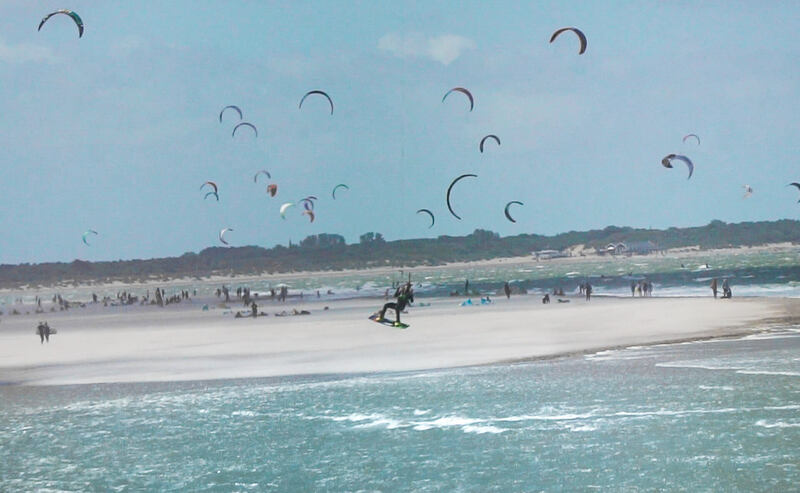 There is plenty of room for kitesurfers and windsurfers. Both can be done at Ouddorp beach or Brouwersdam beach. 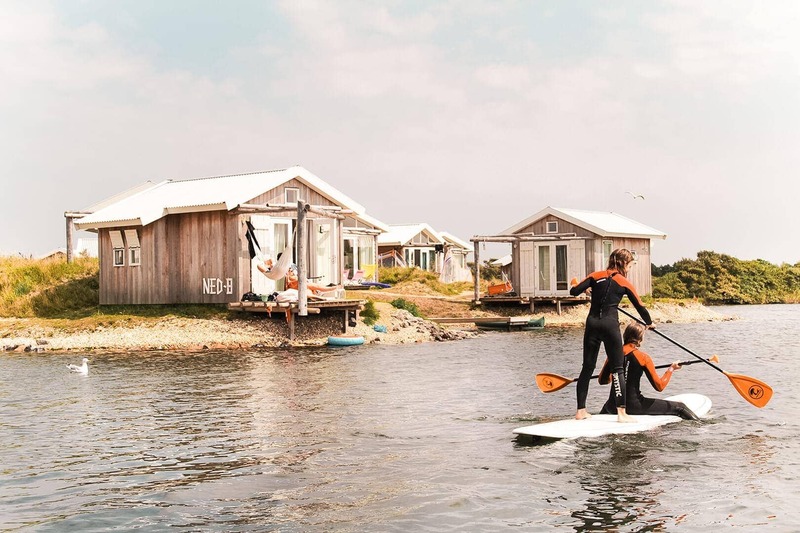 If you’re new, get lessons at SurfKaravaan, Natural High or Sail & Surf Center Brouwersdam. No need to take lessons? You can rent or take your own equipment as well and directly hit those waves! 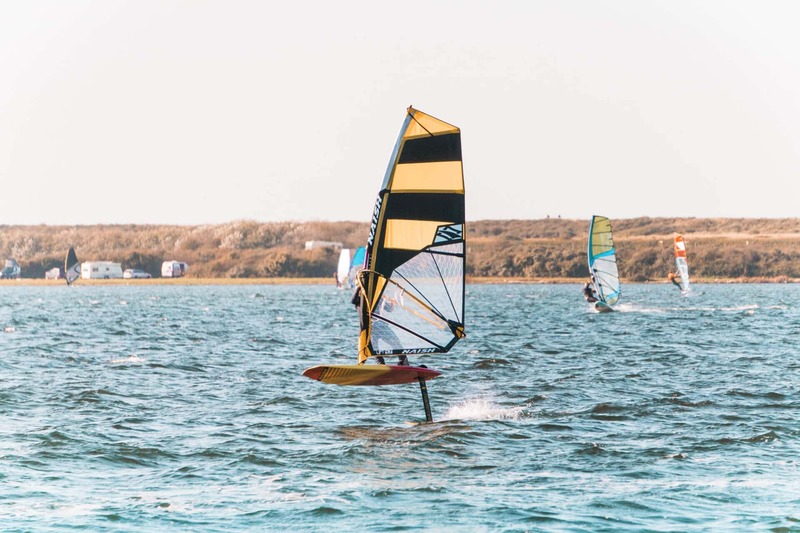 Tip: Every year in October, the event DAMX is held where kitesurfers from all over the world are participating in the European Freestyle Windsurfing Championships. Tip: In summer some beach clubs have popular summer camps like the O’Neill SummerCamps! 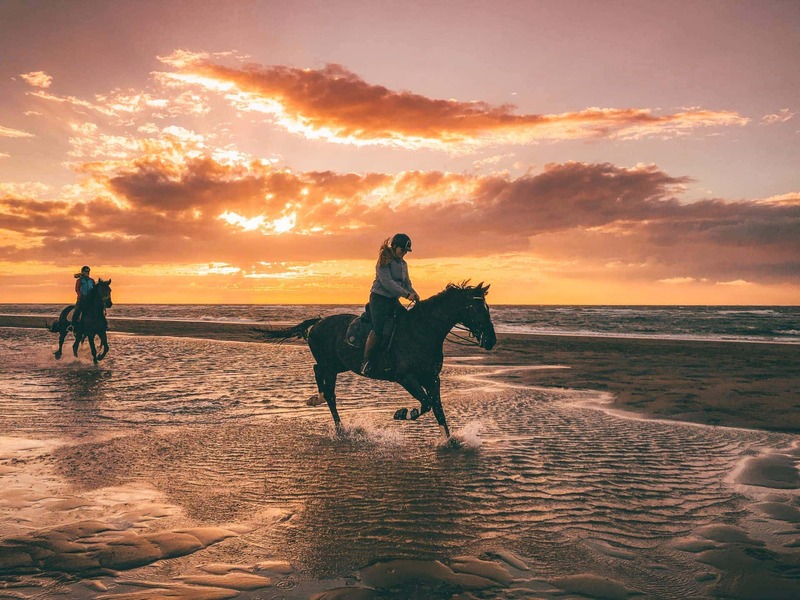 Beach activities in the Netherlands at Brouwersdam and Ouddorp. When surfing is not your thing, you won’t be bored either. There is much more to do on the beaches of Goeree-Overflakkee. 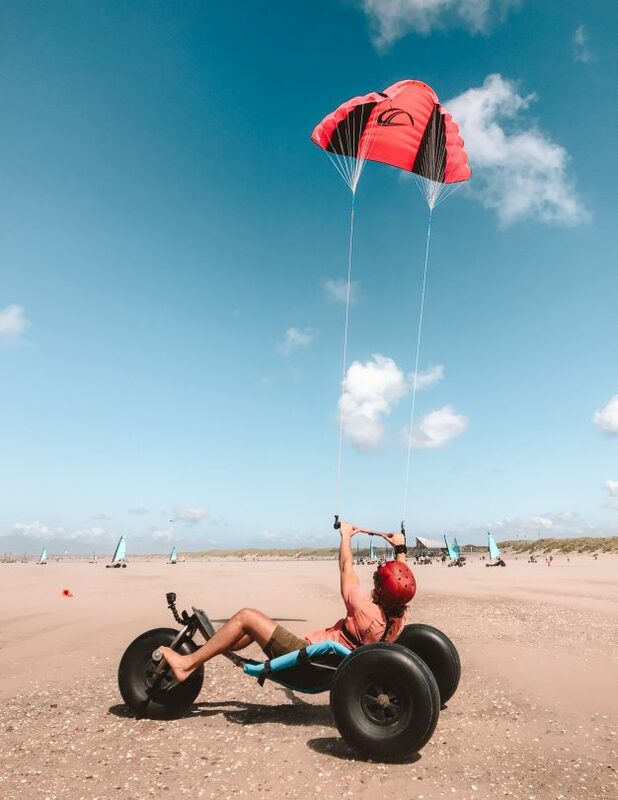 Go to one of the many beach clubs and go for something active like standup paddleboard, kite buggy, blow kart, the water slide or even a beach workout. Or something totally different like riding a horse on the beach, beach yoga, or renting an e-bike or e-scooter. 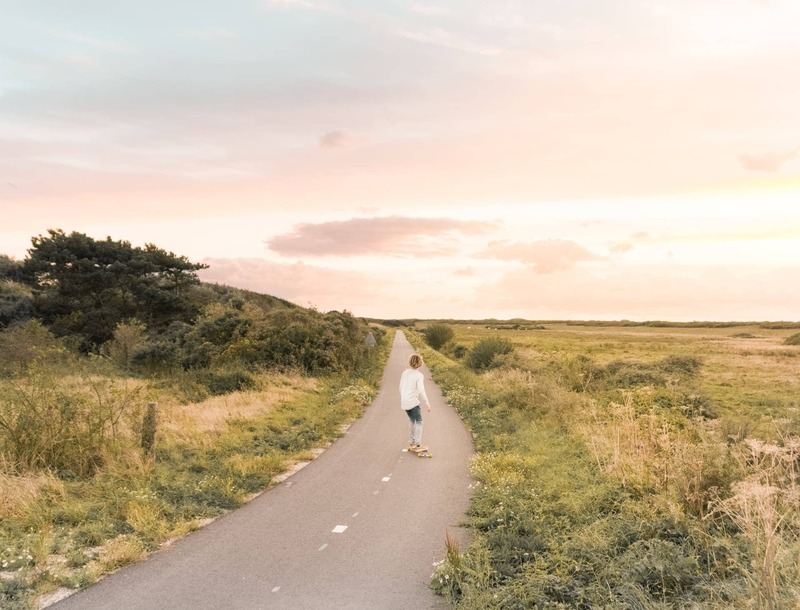 Our absolute favorite thing is to bring our longboards and follow the bicycle path along Ouddorp beach. 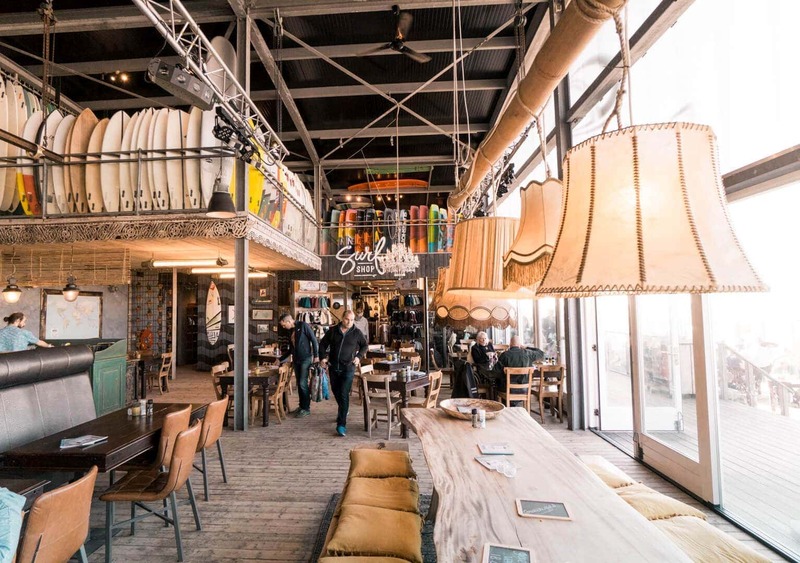 Longboards can also be rented and lessons can be taken at Sail & Surf Center Brouwersdam. Also: Don’t miss the tulips in the Netherlands. Where to eat on the beach? The beaches offer so many great places to have lunch or dinner. One even received the title best beach club dining in The Netherlands. Getting there shouldn’t be too difficult. It’s a 40-min drive and about 1,5 hour with public transport from Rotterdam. 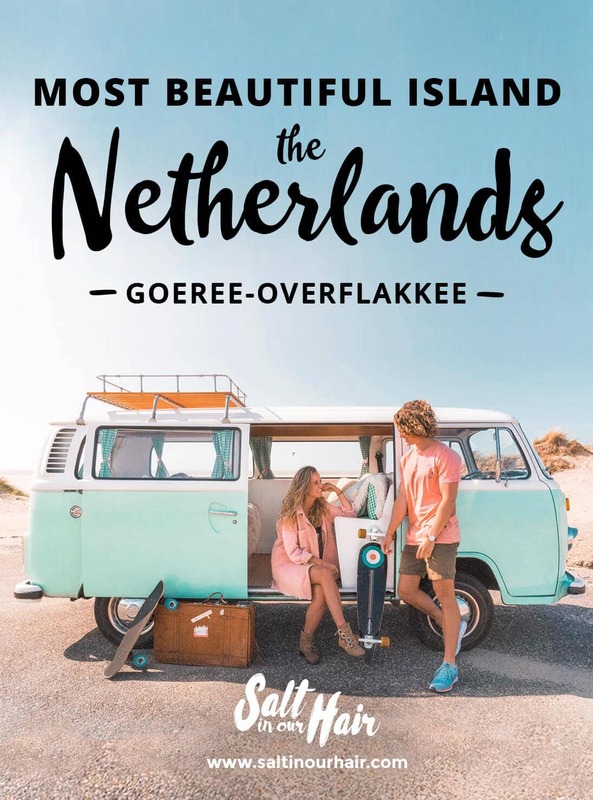 Although public transport is pretty good, we definitely recommend coming by car to be free to explore every little corner of the island Goeree-Overflakkee. We can highly recommend staying at one of the many bungalows or campings. 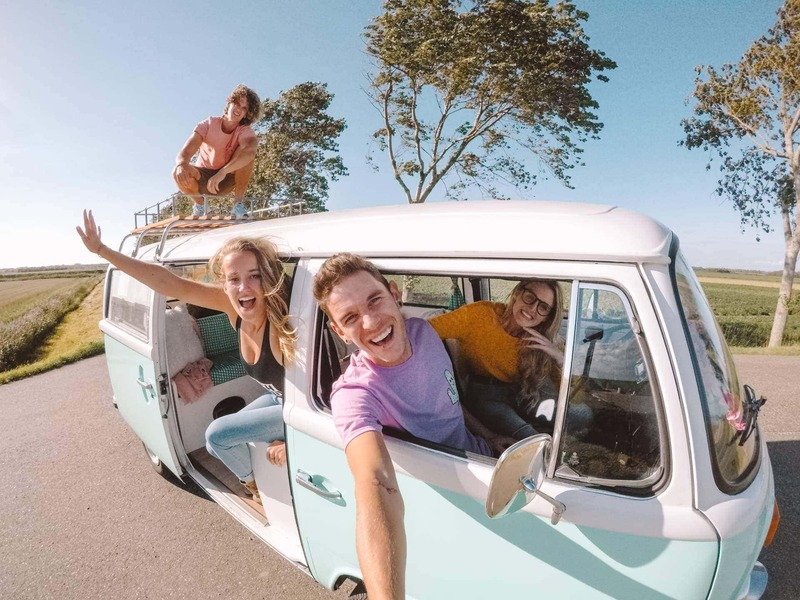 Rent an old Volkswagen van at volkswagenbus.nl or devolkswagencamper.nl to stay at one of the 24/7 campings for about $20 a night, including electricity, WiFi and drinking water. When the sun rises, pop your boards on top of your van and drive 10 minutes to the beach. Another great option for a bigger budget would be to book one bungalow next to the beach. Check out the cinematic video of our beautiful home!